What would you like to do with your reward? Percentage values ​​and minimum order values ​​are based on the net purchase price (excluding tax and shipping costs). The use of additional vouchers may lead to a reduction or even a rejection of the reward. 1. How do you want to share your reward? Sign up for free with just your email address to the DomainFactory refer-a-friend programme with Aklamio, so that we can later pay out your rewards. Of course, your data is secure. Share your personal referral link via email, Facebook, WhatsApp or copy the link and send it to your friends. When your friends follow your link and make a purchase, your reward will be automatically marked as pending within your Aklamio account. 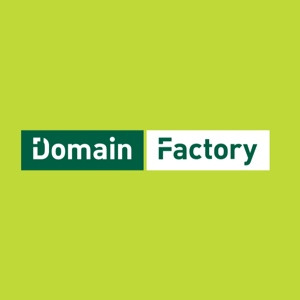 The DomainFactory refer-a-friend programme is run by Aklamio – Europe's biggest community for refer-a-friend solutions. We are here to support you on all questions to the DomainFactory refer-a-friend programme. Learn more about Aklamio.